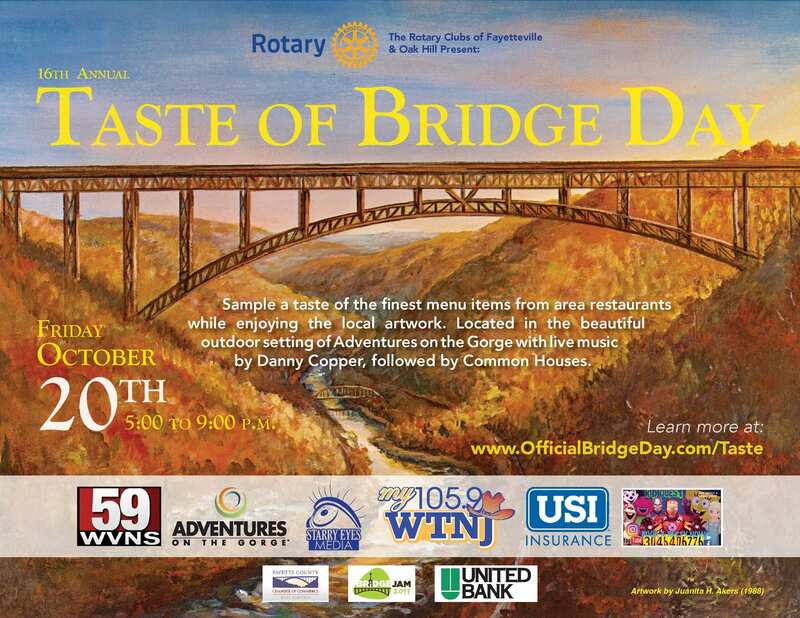 Taste of Bridge Day offers tourists and locals a chance to try some of the best cooking in the region. 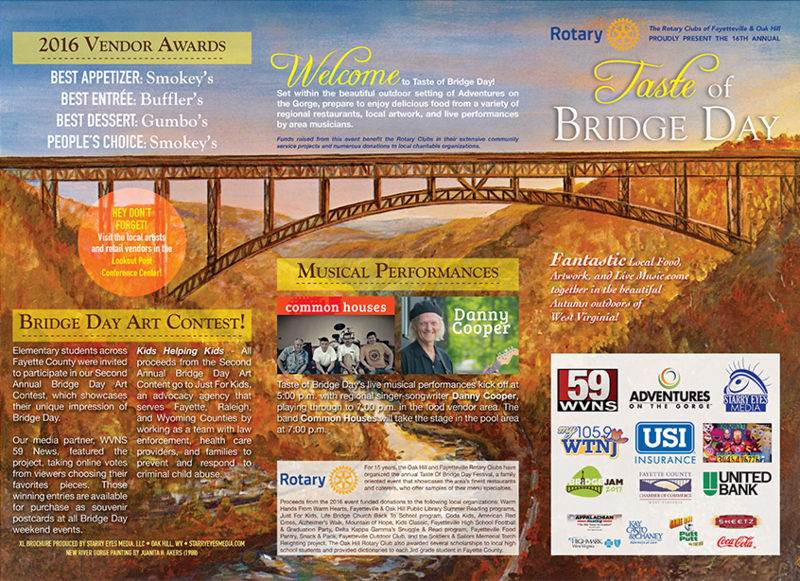 Each year, this fun event is held alongside Fayette County’s Taste of Bridge Day and organized by The Fayetteville Rotary Club. It’s no secret that we love designing menus, which is why we were even more excited about working with such a great event. 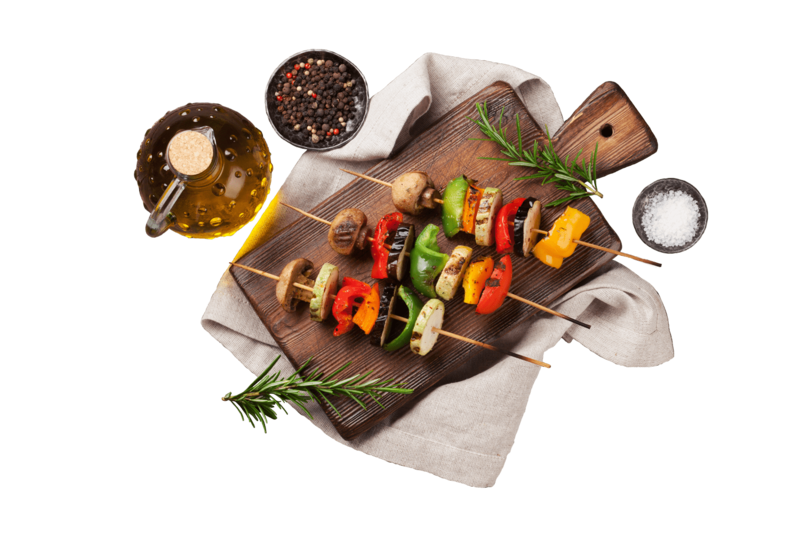 The twist was that this menu needed to incorporate offerings from nine different restaurants. Additionally, there was other event information to be included, along with the list of sponsors who helped make the event possible. Some may call this a design challenge, but for us, it was just good old-fashioned fun. The painting that’s behind it all? 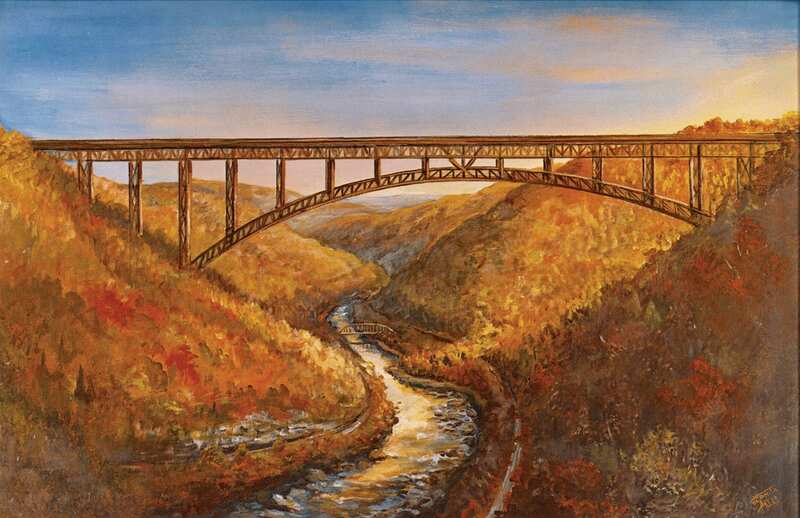 It’s a beautiful rendition of the beloved New River Gorge from local artist Juanita H. Akers (1988).